It's prom season, and the average price of a dress will set families back $250 -- but there's a huge range of what the one-night outfit will cost. 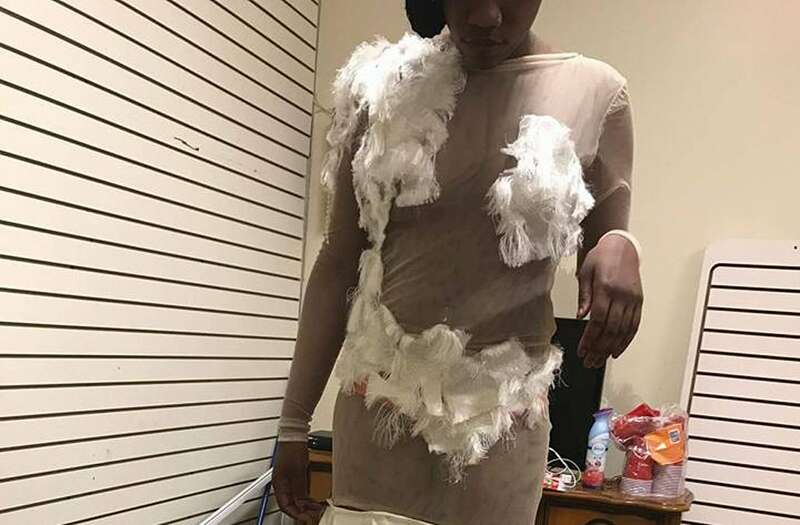 One mother spent more than average on a custom dress for her daughter and was so unhappy that she took to social media. "So Kia Wagner called my daughter THE NIGHT before prom to pick up her dress which she charges $300 for," Lewis wrote. "Are you serious ... was I wrong for wanting my DEPOSIT BACK?" Lewis spoke to Yahoo Style about the ill-fated dress and said her daughter was devastated when she saw the dress. She wasn't the only one who reacted to it: Lewis' post went viral with thousands of reactions and shares. "Prom was almost ruined," Lewis captioned photos of the new dress, "Thank you Kamera Warren for saving the day." According to Lewis, though, the original designer had not done anything to resolve the issue. She told Yahoo Style, "She didn't offer any reimbursement as a professional courtesy." A pretty twisted half-up 'do. For an edgier look, braid the back of your head into a high bun. Elegant twists make for a gorgeous chignon. A boho-inspired braid pulled back into a low bun. A simple, elegant ballerina bun. A looser, slightly wider bun shows off hair highlights. Curled locks pulled back into youthful twists. A slightly spiked, twisted bun. Soft waves with a little embellishment. A daring, elegant, shoot-for-the-stars play on a mohawk. The most elegant ponytail you'll ever see. A gorgeous full, curled ponytail. A sleek, knotted look that is insanely cool. Soft waves and a sparkling embellishment.